I am now 31 weeks pregnant which has me excited and nervous in equal measures. I don’t feel prepared or organised and therefore have spent this last week flapping about all the things I still need to get. When I was preparing for my first child, Henry who is now six I overlooked purchasing toys. I’m not really sure why I think I assumed that babies didn’t really play with toys but I soon realised that even at a young age babies can get so much from sensory toys and they are their first window into learning about the world. 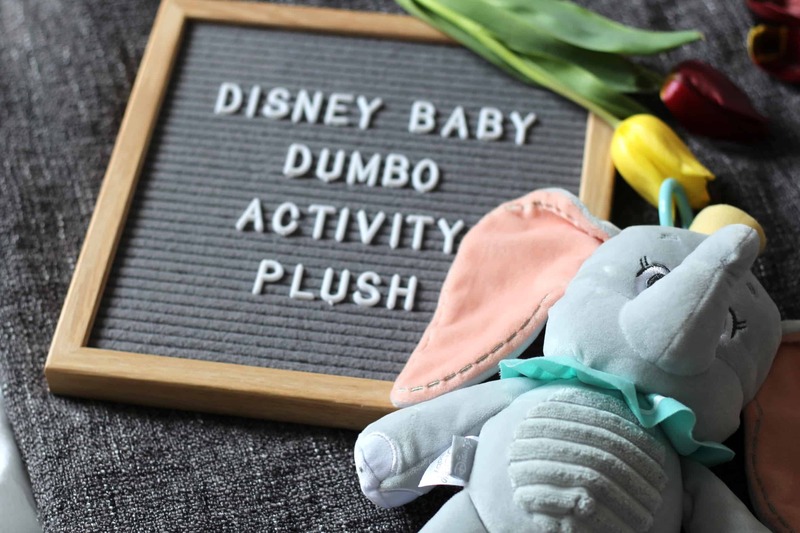 I recently wrote about the wonderful Disney Tigger activity toy from Rainbow Designs and they have kindly sent me their Disney baby Dumbo activity plush which will be perfect for the new arrival. 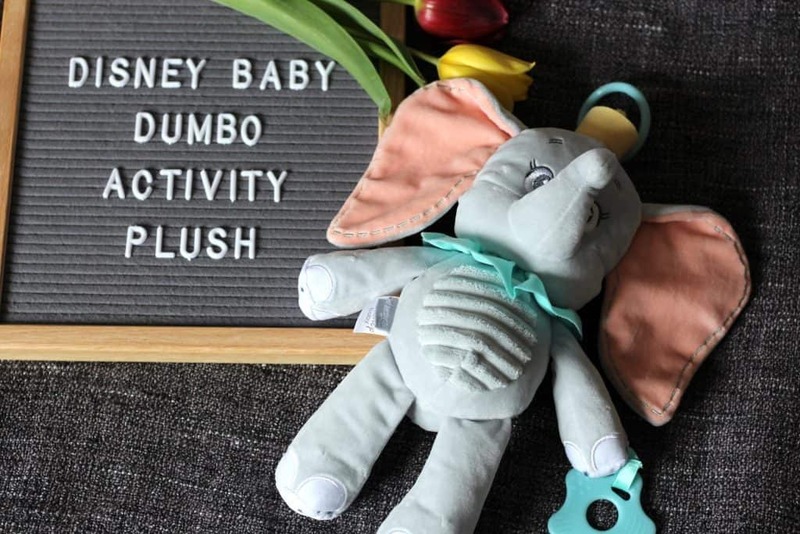 I love anything Disney related but Dumbo definitely has a high cuteness factor and the Disney baby Dumbo activity plush does not disappoint in that area. The plush is super soft and made up of calming colours. There are a number of different elements such as ears that crinkle, a multi texture teether, a chime and a squeaker. It also comes with a clip so you can hang it from a mobile or attach to a buggy or car seat. The different texture and materials make this toy stimulating to a baby’s senses making it both a practical and engaging toy for little hands. Babies learn about the world through their senses and the earlier they can be exposed to this the better the results. 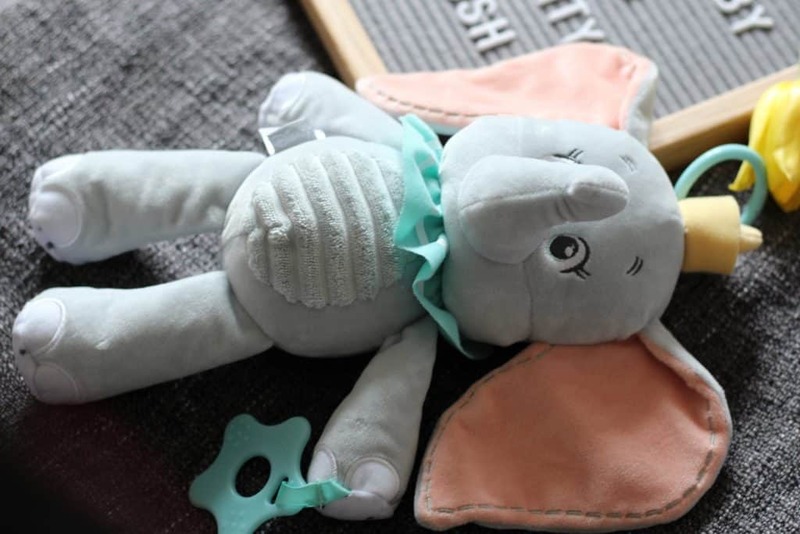 As well as being a great sensory toy the Disney baby Dumbo activity plush is also soft and cuddly making it the perfect companion for even tiny babies. If they roll on it or jerk their hands to fast they won’t hurt themselves which is reassuring for a toy suitable for a baby. Lots of elements of the toy are the perfect size for even the smallest of hands to grasp such as the feet, trunk and ears. This makes the toy much more exciting and will also help improve a babies grip and sense of perception. The toy is well made and can be hand washed and left to air dry which is essential for toys like this as a huge part of a babies learning is by putting things in their mouths. I am really impressed with the plush it is both practical and cute! 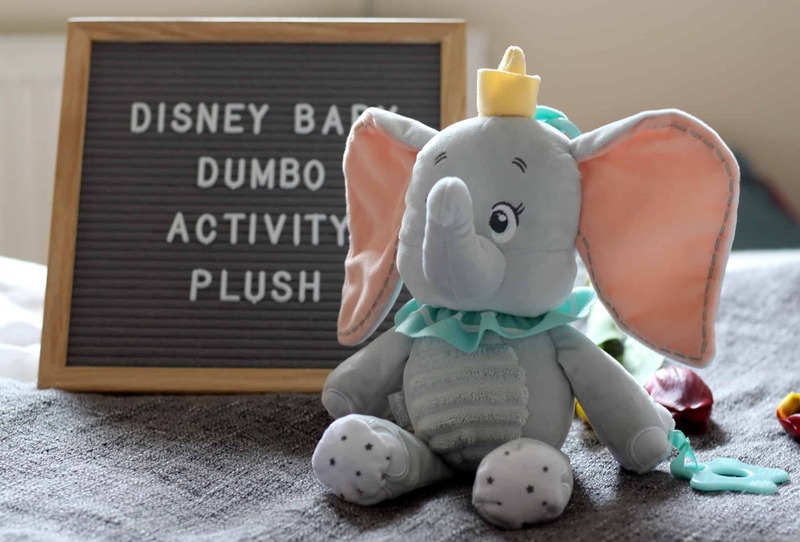 Rainbow Designs have specifically developed the Disney baby Dumbo activity plush for sale exclusively in Tesco stores and online. The launch date is 11th of April so keep a look out for them. 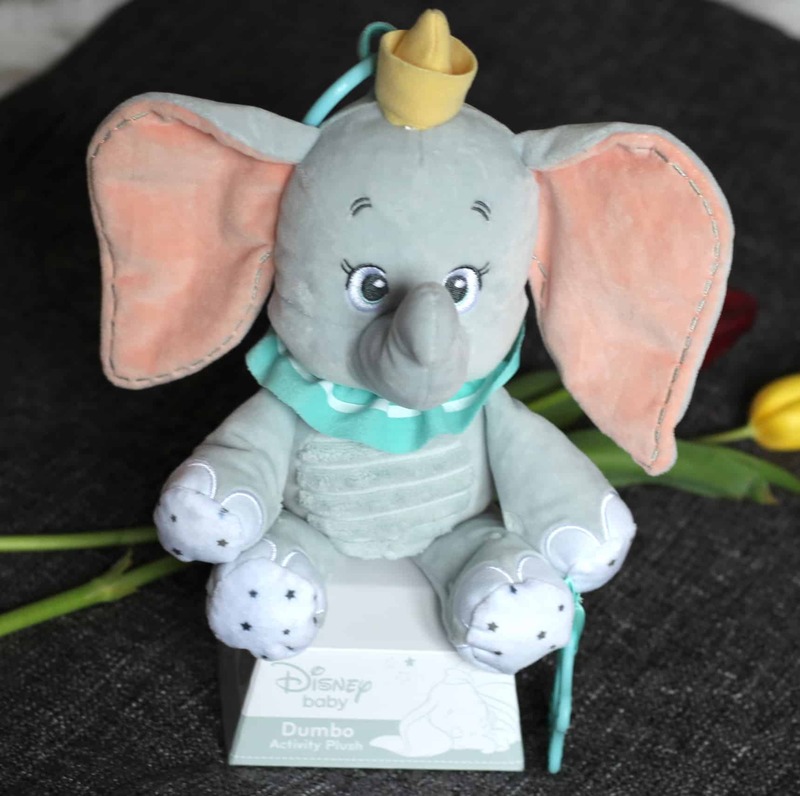 The lovely people over at Rainbow Designs have kindly offered to give one of you lucky readers a chance to win your very own Disney baby Dumbo activity plush. Simply follow the steps in the Gleam widget below to enter. Please read the T&C’s before entering. Entrants must be 18 or over and live within the UK. Thank you for stopping by! More great giveaways can be found here! Check out my latest post here. This giveaway is in collaboration with Rainbow Designs who have kindly provided the prize. As always all words, opinions and views are my own. For more information on any of this please head over to this page.